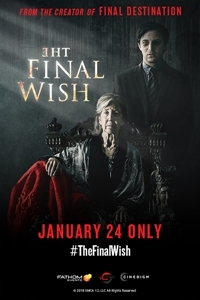 From the creator of the Final Destination franchise, Fathom Events and Cinedigm bring you The Final Wish. When his father dies, Aaron returns home to confront his demons. Sifting through old belongings, he finds a mysterious and powerful item.